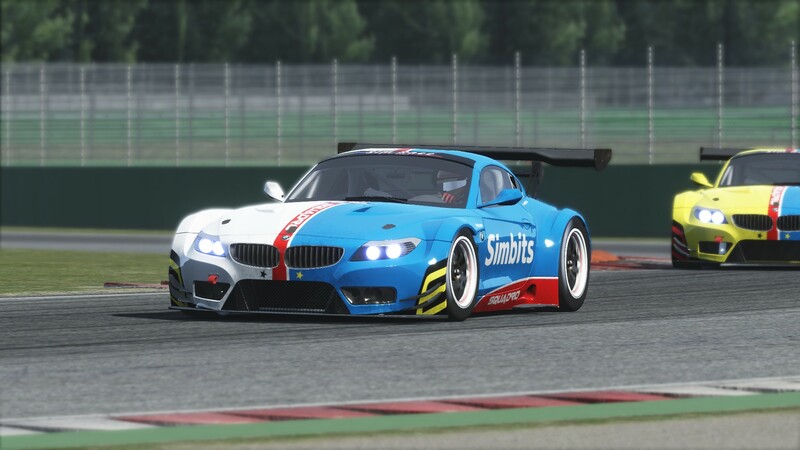 Following their championship winning 2015.2 season, Jason Holden-Jones of Sim Race South Africa (SRSA) sat down with Gert James (GJ) and Boyd Bryson (BB) of AGBS to talk about what it takes to win the highly competitive SA simGT Series. AGBS won not only the Teams’ championship, but also both drivers’ championships, namely the GT-PRO and GT-AM classes, achieving all this in their debut season as a team. SRSA: Gert, I will start with you. What does it mean to you, as Team Principal, to win the SA simGT Series? Steyn leads Jadwat during Round 9 at Vallelunga. James recalls this race as the beginning of a strong rivalry between AGBS and Squadro GhostworX. GJ: The first feeling is relief. The second one is probably elation. It’s a special feeling as I know it meant as much to my team mate as it did to me. Knowing that we both prepared as much and as hard as we could to make it happen. And to weather the storm Squadro Ghostworx threw our way since Vallelunga was no mean feat as those boys came at us hammer and tongs. SRSA: Boyd, what does it feel like to win the GT-PRO drivers’ and also the Teams’ Championship`? BB: It feels great! Especially in light of the quality of the field. It is also particularly rewarding considering the work that we at AGBS put into the season and the car. SRSA: Gert, what was it like entering the championship as a GT-AM Class driver? and how does it feel to win that championship? GJ: I am an extremely competitive person by nature. I have played many sports in my lifetime and I rarely moved on to another discipline without having accomplished some milestone. I have done so (briefly) in tennis, darts and jukskei. I have been one of the most competitive cricket players at my current club for 12 years now (note that I did not say “one of the best”). What helps is when you realize you may not be the best, but having the right temperament and developing BMT you can consistently compete with the very best and not fail. My preparation for Donington taught me the value of running so many laps that your hands feel like imploding. Hence the fact that I shaved 6 seconds per lap of my times in the week leading up to it. It also taught me that simply qualifying in front of everyone else was not enough to do well. I needed to learn racecraft…and I had none. To simply be fast was going to help, but it won’t guarantee great results. I was intimidated by the myriad of fast drivers in the ranks of SimRaceSA. Before too long it helped to manage my expectations and push myself in areas where I felt others may lack leading up to any event. I felt that if I could do that consistently and not be afraid to rely on the expertise of someone like Boyd it can, at the very least, give me a shot at upsetting a few experienced drivers. 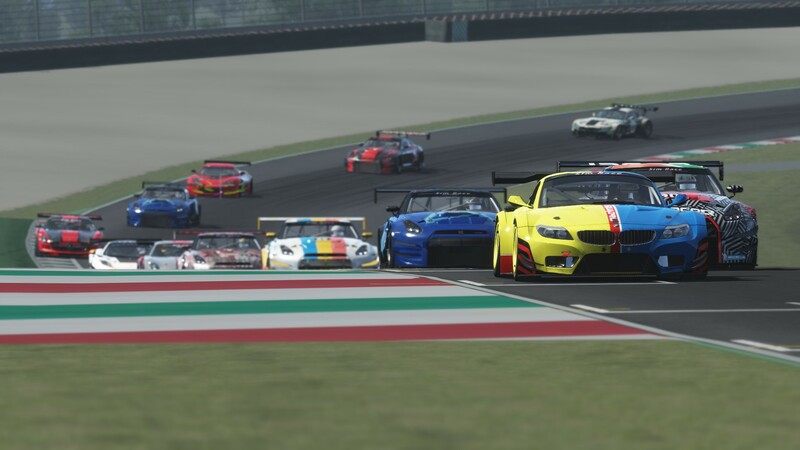 Jadwat leads the field to beginn the rolling start of Round 4 at Mugello, a race which saw Bryson start from the back to win the 48 lap endurance race. SRSA: Boyd, what was it like to work with Gert as a GT-AM driver? BB: Working with Gert has been awesome! He has the passion and enthusiasm, as well as an unbelievable work ethic. We worked together after Donnington for all the events, and I believe that collaboration and hard work paid off. I am grateful that as reward Gert could take the AM Champs and that AGBS took the Team Champs, I sincerely believe it is well deserved. SRSA: Gert, what would your advice be to the new GT-AM drivers joining the new season? GJ: New AM drivers? There is no magic bullet. There’s no shortcuts to be taken. If you are new to simracing (I did not think I was until Silverstone showed me otherwise) your only option is to learn and do laps. Lot of laps. Learn from your mistakes and appreciate every corner you take and you see your little green delta flash happily. 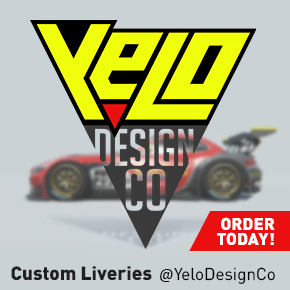 Watch videos of your car going around the track you are preparing on. Sometimes dozens of times. Make notes of everything. Gear changes, lines, acceleration points…the list goes on. And practice the living daylights out of those notes. Sometimes the most stable setup is not the fastest setup for your car, but it will keep you on the black stuff long enough to run consistent times and take advantage of the guys in front of you leaving the track. And lastly…be prepared to work harder than the pros just to keep up. If you cant do that it would be unreasonable to assume you can do well. Unless you are the next golden boy of simracing…which very few of us can claim to be. SRSA: Gert, how did you and Boyd go about your preparation for each race? What is the secret? GJ: We only really started to get into a proper preparation regimen after Silverstone. With Boyd joining AGBS barely a day or so before the first race and us not knowing each other from Adam, I only had the word from other racers to go on that Boyd was (a) fast and (b) an asset to any team. After Donington not a lot could be learnt from each other. He finished behind me and I had zero racecraft. After Silverstone, where he won the event, I then felt that my entire outlook on the season needed to change. I had a poor event as my preparation time for Silverstone was less and all over the place. And if we were going to be competitive I needed to rely on Boyd’s feedback. The short of it all is basically that there is no golden egg. It just comes down to sharing everything. It will be rare that a simple setup tip will work for both drivers, but sometimes a tip can yield immediate results…and that has happened often during the season from both sides. We started to know each other quite well and around the middle of the season we knew how to push each others’ buttons to get the most out of both of us. It helped immensely that Boyd is a sim racing fanatic and always willing to part with titbits of info whereas I like learning…almost obsessively. SRSA: Gert, you signed up Boyd one day before the opening round at Donington, talk us through that and your expectations for the season before it started. GJ: We had no expectations at the start. The first days prior to the race at Donington was taken up with getting Boyd’s livery sorted out and doing our own thing, and seeing as I knew that Boyd would literally get into the car for the first time right before the actual race we had no expectations from each other. It was only during the Silverstone event we realized the importance of being in contact with each other during practices and actual events and how it can help us maximise points takings from each event. SRSA: Gert and Boyd, a question to the both of you: What is your most memorable part of the season? and when did you feel AGBS might have a shot at the title. Bryson and James on-way to a one-two finish during Round 5 Race 2 at Imola. Coetsee separates them in the #46 Rebel GhostworX Nissan. GJ: There was a period of two or 3 weeks in where I got a second place at Imola with Boyd winning both sprint races and then, once we moved to Paul Ricard, Boyd only became faster than me around the track a mere day before the event. Getting an overall 3rd place (2nd actually but a 20 second penalty pushed me down to 3rd) was key in setting up our seasons. Thats when we knew we had a great shot at winning the team champs. For me it would be unfair to single out specific events as my personal highlights as even the races I did poorly in taught me something of value that I could take into the next one. The entire season ranks as a monster highlight. BB: My most memorable moment has to be coming from the back at Mugello to win the endurance event, with an epic tussle with Basheer Jadwat along the way. I can add that my least memorable moment was at Nurburgring, where in race 1 I had the wrong tyres and had to pit, and race 2 where I the wrong setup and had to pit. Silly mistakes that could easily have cost a championship. 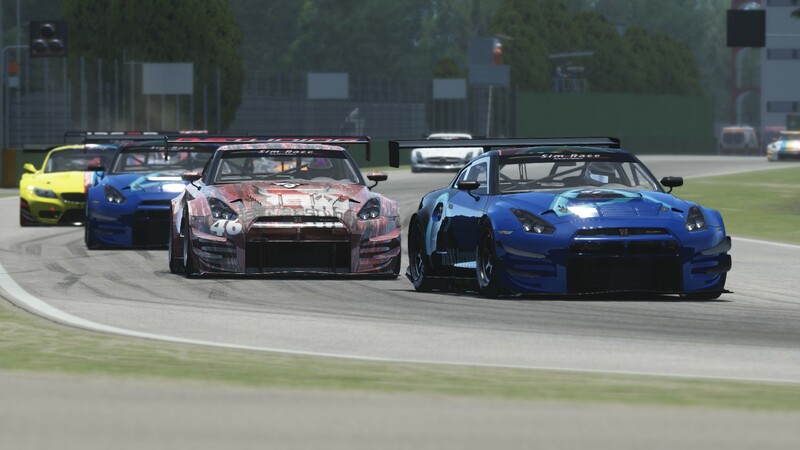 SRSA: Well thank you both for a very interesting interview and I wish you all the best in defending your championship titles in the 2016 SA simGT Series. 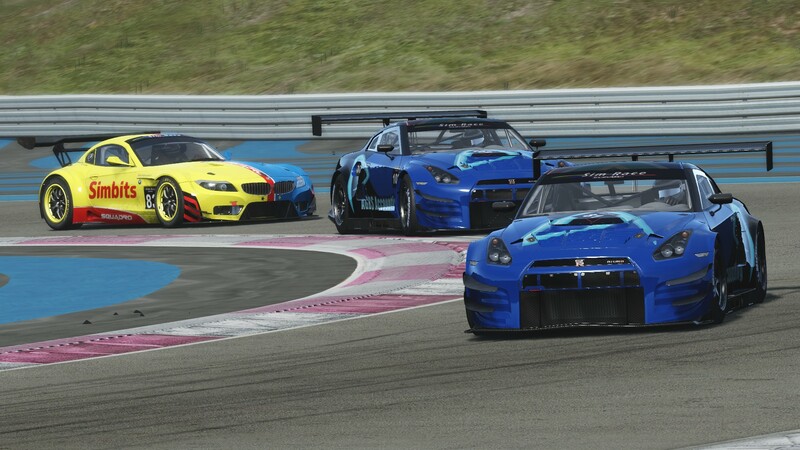 Did this article peak your interest in joining a sim racing championship in 2016? 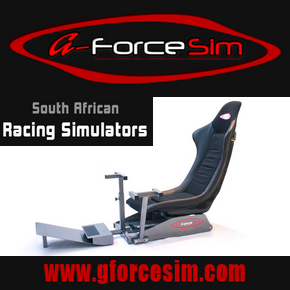 If so, contact Jason at: jason@simracesa.co.za to inquire about joining a Sim Race South Africa hosted championship. Hi Im interested in getting into this sim racing. Could you please assist me with where what’s happening. Great to hear from you. Drop me a email at jason@simracesa.co.za and I will gladly assist.